With two key retail periods - Black Friday and Festive Season - now behind us, retailers are looking for new ways to increase revenue, grow market share, and boost profits. With consumer spending expected to reach $2.1 trillion and the urban population expected to swell by 190 million people by 2025, Africa's retail sector is poised for explosive growth. Despite South Africa's near-stagnant economic growth, markets across the continent are experiencing unprecedented growth: according to the Harvard Centre for International Development, five of the ten fastest-growing economies in the world today are in Africa. This economic growth is ushering in a new middle-class consumer segment that could total 1.1 billion by 2060 - a more than three-fold increase from the 313 million middle-class consumers today. This will drive consumption and demand for new products and services. Formal retail in Africa is expected to grow by 5% per annum over the next few years, partly supported by the swelling African middle class as well as the expansion of strong global retail brands across the continent. The picture is not as rosy in South Africa. StatsSA data points to some bleak realities for local retailers: year-on-year retail sales growth lagged at 3.1% during the first four months of 2018, well below the 5.5% experienced in the last quarter of 2017. Tellingly, the country's consumer price inflation has leaped to 5.1% in October this year after record lows in 2017, putting immense pressure on consumers but also forcing retailers to implement new measures to maintain profit margins and improve customer retention. Retailers' ability to leverage more sophisticated analytics and payments technology will be crucial in supporting the growth of a vibrant consumer market and driving financial inclusion to bring more of the previously unbanked population into formal banking – and by effect, retail – activities. The fintech sector, in particular, has done an immense job of building the physical and virtual infrastructure needed for greater payments enablement. Across the continent, previously cash-based transactions are being brought into the electronic fold, giving consumers access to goods and services via bank cards, store cards, mobile phones, and more. 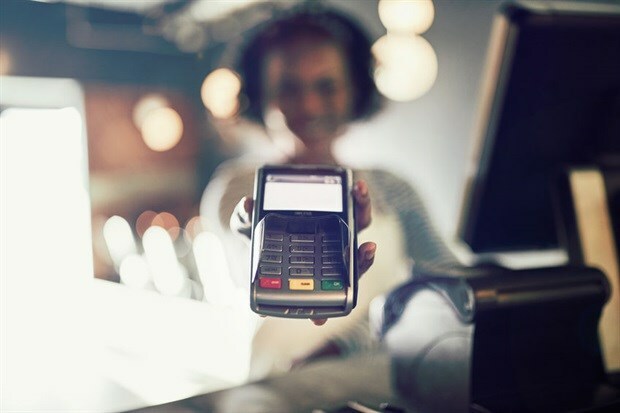 The electronification of the African payments ecosystem provides retailers – via their service providers – with opportunities to employ advanced technologies that improve their pricing strategies, build stronger customer relationships, develop more accurate and individualised rewards and incentives, and ultimately make them more profitable. As more African consumers use electronic forms of payment, retailers, financial services providers and governments gain access to richer data that can greatly improve policy decision-making, retail customer offers, banking products and the introduction of other forms of formal economic activities. For retailers, this opens the door to richer customer experiences as new channels for providing value back to customers are unlocked. According to McKinsey, 58% of African consumers consider themselves brand loyal. However, rising consumer expectations and a diverse customer base with wildly differing values, motivators and maturity of technology use complicates the task of effective engagement. Most retailer customer bases consist of five distinct generations – the Silent Generation, Baby Boomers, and Generations X, Y and Z – and adapting the customer experience to suit each of these generations is a tough ask. The concept of personalisation has garnered attention from retailers and marketers over the past decade, but more recently the proliferation of technology has opened the door to a new concept: individualised customer engagement. Due to the volume of goods stocked and customers served, most retailers are sitting on a veritable goldmine of data. The types of products that are top-sellers, the times of month sales of certain products perform better, which customers are purchasing which products… there is a wealth of data lying dormant in many retail environments. However, attempting to manually mine data for value and insights is impossible. And even if it was possible, the true value of data is not in developing insights, but in utilising those insights to drive the execution of strategies that improve market share, increase profitability or generate greater revenue. Individualised customer engagement enables retailers – mid-sized ones in addition to the big-spending major retailers – to use accurate customer data to develop and launch individualised offers in real time, greatly improving the customer experience and driving bottom-line KPIs such as profitability, turnover and increased market share. While there is a tendency for global companies to try to disrupt local payment and retail ecosystems in underdeveloped consumer markets such as is prevalent across much of Africa, it is often far more effective to leverage the capabilities of established local banks, retailers, and point-of-sale vendors for seamless and rapid market entry. A strategy of setting up fully-localised in-country businesses, sourcing local support and investment partners, employing and training local staff and equipping them to run the local business will enable service providers to rapidly expand their payments acceptance footprint across Africa and become preferred or dominant payments providers across the continent. This approach further lays a strong foundation for associated companies to deliver additional value-add services to retailers and consumers across the continent. A recent partnership between Innervation and private equity firm Baobab Capital in Namibia, for example, enables the proliferation of payments acceptance solutions across the Southern African country, while partnerships with large retailers has established Innervation as the only payments business in Namibia with the ability to provide payment services via all of the country’s major acquiring banks. Consumers benefit through greater convenience, expanded opportunities for cost-savings or individualised rewards, and exposure to a greater ecosystem of value-adding partners. 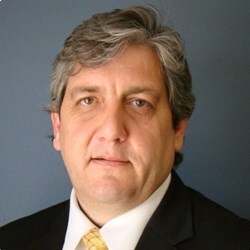 Mark Schech is the executive for Africa at Innervation PAN African Payment Solutions.